Ships today if you order in the next 8 hours 39 minutes. 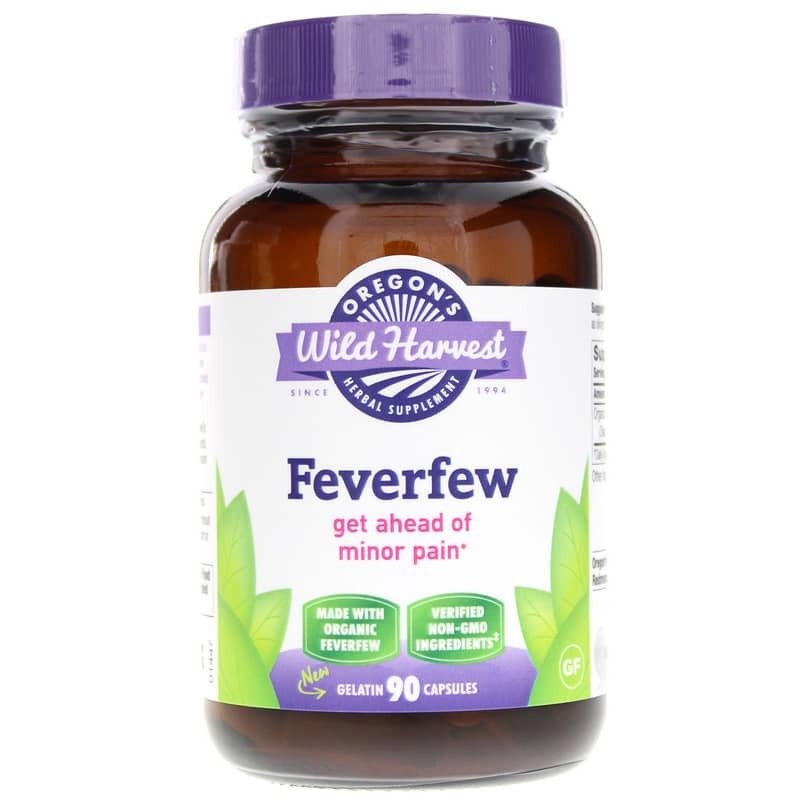 Feverfew from Oregon’s Wild Harvest is an herbal supplement that contains the compound parthenolide that seeks to promote wakefulness and temporary relief from occasional pain. The effects of parthenolide may also support healthy joints, a normal histamine response, and a healthy digestive system. Feverfew is a medicinal herb in traditional medicine that has been referenced in literature as Chrysanthemum parthenium and Pyrethrum parthenium, and originated in the Balkan mountains of Eastern Europe. Feverfew can be identified by looking for a short bush with daisy-like flowers. It’s in the flowers and leaves where the highest concentrations of parthenolides are found. Parthenolides are a sesquiterpene lactone, which may support in vitro biological activities such as healthy joints, a normal nervous system, healthy bones, and normal cellular development. In traditional medicine, feverfew is used for temporary relief from pain and healthy blood vessel tone, and may support a healthy stress and frustration response. For support during internal challenges, such as temporary relief from occasional pain and healthy blood vessel tone, try feverfew. 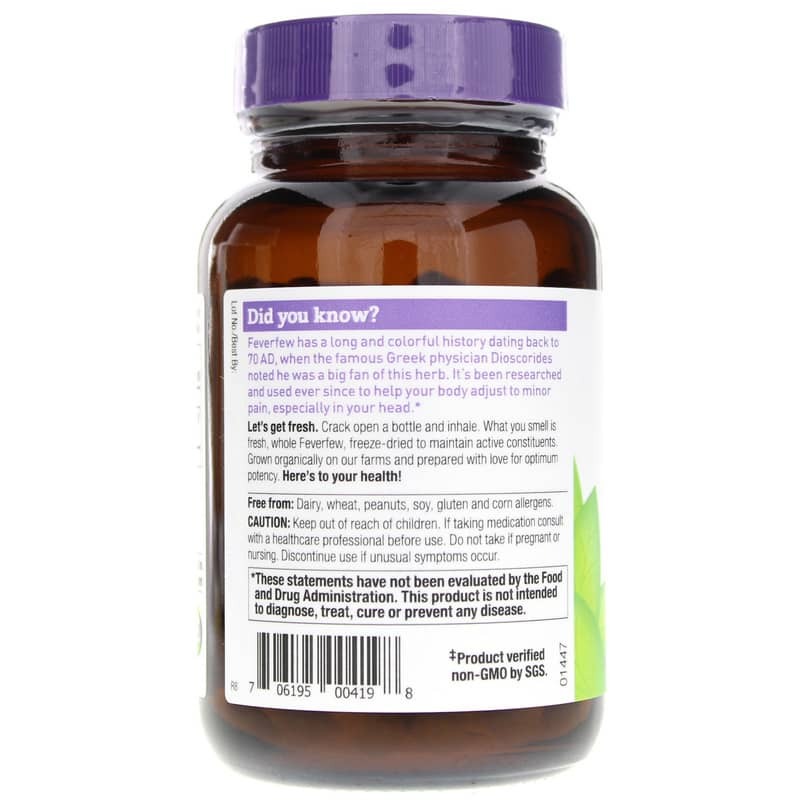 Contains NO: dairy, wheat, gluten, peanuts, soy or corn allergens. 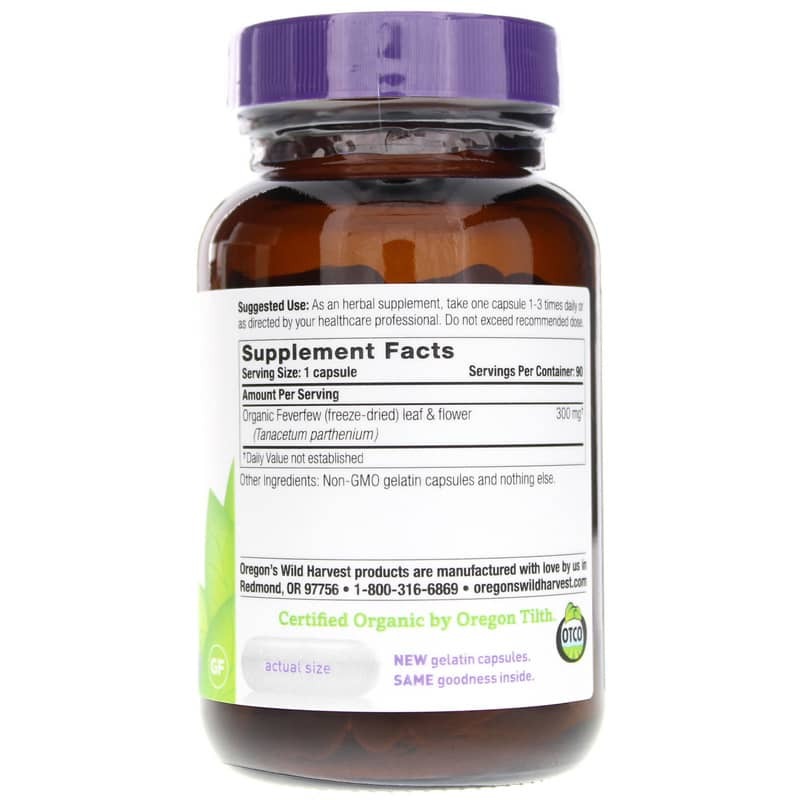 Adults: As an herbal supplement, take one capsule 1-3 times daily. Do not exceed recommended dose. If you are taking medications or have a medical condition, please consult your healthcare practitioner before use. Do NOT use if you are pregnant or nursing. Keep out of the reach of children. I used this when I was feeling stressed and getting tension headaches. It definitely helped. I would take this in the morning, along side of PURE Magnesium Glycinate at night.